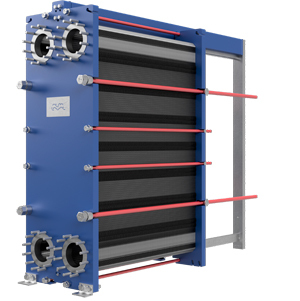 Alfa Laval's next generation T25, T10 and now also T6 gasketed plate heat exchangers feature a range of unique innovations that break new barriers in industrial heating and cooling applications. 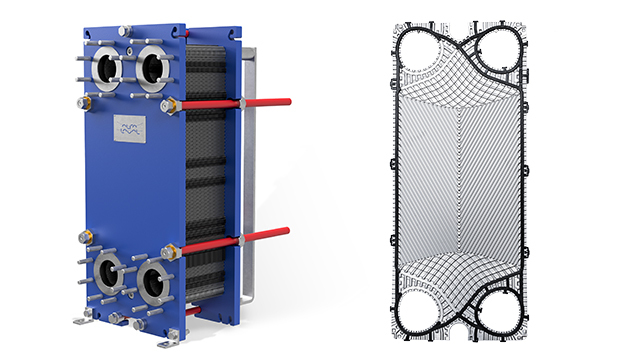 Alfa Laval’s M10 has long been the market’s most versatile gasketed plate heat exchanger. Able to provide high thermal performance in a wide range of applications, it has set a global standard for energy efficiency and sustainability. But for us, just setting the standard is never good enough. That’s why we’ve created T10 – M10’s successor that’s breaking new barriers. Built with a revolutionary new plate concept, T10 eliminates the compromise between efficiency and pressure drop. With the improved design, we can better accommodate uneven flows, making it possible to optimize the performance of the heat exchanger according to its specific position in your processes. The result is up to 30% higher efficiency and reduced fouling for reliable, cost-effective performance. And that’s just the start. Whatever the application, T10’s truly sustainable, energy-saving design creates additional possibilities to meet environmental targets. And the new plate concept ensures lower total cost of ownership thanks to a smaller footprint and reduced maintenance needs. The new T10 plate concept is based around patented Alfa Laval features that combine improved thermal efficiency with a more reliable unit that is easier to service. FlexFlow™ plate design offers new possibilities to support duties where media have uneven flows or thermal demands. Its asymmetrical pattern makes it possible to create ten different channels using just two plates. T10 units can therefore provide a better thermal fit to their specific positions, ensuring higher efficiency with reduced pressure drop. SteerLock™ plate alignment makes it possible to assemble the unit with either asymmetrical or symmetrical channel configuration. SteerLock™ keeps plates in perfect alignment, preventing leaks or damage to the equipment. It also makes plate handling during service easier. The Compact frame feature offers more capacity with a smaller footprint. A smart guiding bar enables a maximum number of plates or cassettes in the frame while keeping the service area requirements down to a minimum. The design enables a faster and safer service which minimizes downtime and reduces maintenance costs. This technical paper provides an overview of the different ways that newer heat exchangers can contribute to overall energy savings in industrial heating and cooling applications. Whether you are considering equipment for a new installation, looking to upgrade your existing heat exchangers or exploring the possibilities of expanding your capacity, this information is useful. Learn more about the next-generation features that help T10 to break all new barriers when it comes to thermal performance and sustainability in a wide variety of applications and positions.